They add color to the vast blue sky and they ensure that the eco-system’s balance is well maintained. Their presence not just adds beauty but also makes sure that the wildlife is complete with them. Talking of birds is as interesting as talking of any mammal from the animal planet. However, the birds are till date and continue to be much neglected. Each and every region in every country and even each and every country have its own set of birds and bird types. You have the bright Macaws in the Madagascar that do the rounds in the open sky. You have the Pinkfooted Sherawater taking its flight across the open ocean waters near the American coastline. Such diversity exists worldwide in the bird world but they continue to remain under threat from the manmade threats at all times. Where many birds are caught for consumption or simply for their beauty, many get to meet accidents or starve to death because of the killings of the animals. This has raised concerns and this is why environmentalists, naturalists, and bird watchers are doing their bit by doing bird preservation. It is a known fact that people have been responsible for the dwindling numbers of the birds but more than the direct shooting or hunting of birds, many are just done without a care for them. Pollution, and destroying their habitats and spraying the crops on which they feed with pesticides are the reasons for the falling number of birds. 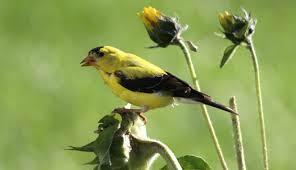 However, let us look at the different ways you can go for bird preservation. If you love to see your feathered friends wake you up with their noisy chirps in the morning, then you shall have to stay aware of the kinds of birds that are endangered and do your bit of bird preservation to save them. Birds collide with clear glass walls of buildings and this is one of the biggest risks modern cities have given the little birds. So, ensure that there are window decals or textured curtains would reduce the glare and stop the birds from colliding head on. Cats and dogs have this natural tendency to kill and feed on the birds. Every year millions of birds die in this process. Chewing gums should not be spat around, since little birds might eat them and this might get stuck in their windpipe causing their death. So, while disposing off chewing gum, make sure they are wrapped in paper bits. Do make sure that plastic bags are not thrown around since they might nibble on that and pass out too. If you ever rescue any fledglings near a flower pot or from a park, just take care of them, nurse them and keep them back safe on the exact spot where you found them. Such measures and by ensuring that the birds get a healthy dosage of food every day, from your bird feeder, they shall live happily for more years to come.